GP File 4 Greenpeace Staffer, Tia Taurere, Linked To "Urewera 17"
A third member of Greenpeace's Be The Change team is Tia Taurere. Like Kristin Gillies and Jo McVeagh, Taurere has has been touring New Zealand high schools and towns spreading Greenpeace's "climate change" propaganda. Tia Taurere from Greenpeace is on the Be the Change Bus Tour, a joint intiative with Oxfam and Forest and Bird to look at the impact of climate change in Aotearoa. The biofuel-powered bus is heading for Northland, where it will visit communities and marae affected by last winter's floods. She says such natural events bring home how the challenge will affect people's lives. A graduate of the new Zealand Film Academy, Taurere works for Greenpeace in Auckland as a communications officer. She is mainly involved in video production and communications technology work. 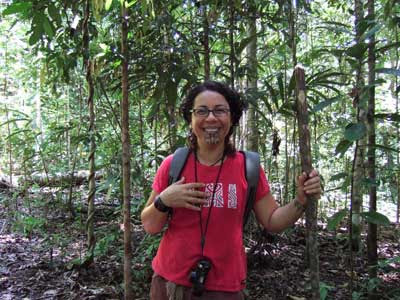 In February 2006 Tia Taurere represented Greenpeace NZ in Papua New Guinea as part of an anti deforestation campaign. Kia ora, my name is Tia and I arrived here at the Global Forest Rescue Station as the Aotearoa New Zealand representative. At this time in my life I am working in the television industry, so whilst staying here I will be capturing footage of the landowners in their natural enviroment and their struggles against Neo-Colonisation. Because I am of Maori descent I feel an indigenous bonding and have much to share on this issue of stolen land and resources. 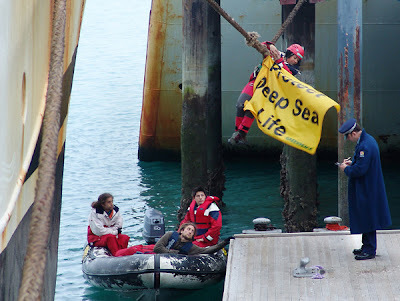 In July 2006, Taurere joined an anti bottom trawling protest in Nelson with Jo McVeagh. She attached herself to the ship's mooring line and had to be removed by police. Like her comrades Gillies and McVeagh, Taurere also has some very radical connections-including close ties to several of those arrested in the October 15th anti terror raids-the "Urewera 17". Contributing towards the indigenous uprising, for Maori control over Maori things, Tino Rangatiratanga, self determination. Thru creative resistance, creative communications. "TIA is part of the vanguard of wahine toa (women warriors)which is emerging in the Maori Movement for Liberation." Taurere also displayed this graphic on her Bebo page. It was removed shortly after the October 15th police swoop. Tia Taurere is particularly close to Teanau Tuiono and Kiritapu Allan of Conscious Collaborations, an organisation linking indigenous activists and cultural workers from New Zealand, Australia, the Philippines and the USA. Taurere describes Tuiono and Allan as her "favourite peeps" and works closely with them in another organisation Te Ata Tino Toa. Both Kiritapu Allan and Teanau Tuiono had their homes raided by police on October 15th and Allan claims that her communications had been monitored for some time-though neither were arrested. In early 2007 Conscious Collaborations hosted an event entitled "Nice n Native" at Motakotako Marae in the Waikato. The idea was to bring together a small group of indigenous activists...who were all actively working towards a different world to wananga (explore, sit, think and share ideas) indigenous self-determination. It is not often that indigenous peoples are given the opportunity to sit and share with other indigenous peoples stories of how our communities are surviving in the face of colonization, capitalism, westernism and other external influences. Attendees included Taurere, Allan, Tuiono, Helen Te Hira and three of the "Urewera 17" arrestees-Tim/Ira Bailey, Emily Bailey and Rangi Kemara. Also present was Ati Teepa, brother of arrestee Maraki Teepa. In February this year, Teanau Tuiono and Kiritapu Allan from Te Ata Tino Toa were refused permission to fly the Maori Tino Rangatiratanga flag from Auckland Harbour Bridge on waitangi Day. To protest this decision, in May, Taurere (representing Te Ata Tino Toa) did a bungee jump from the the bridge draped in the revolutionary flag. "The flag has long been recognized as broadly representing Maori aspirations. It has been flown at Waitangi, and in all the hikoi, both church and iwi based, for almost two decades"
Like most maori sovereignty activists, Taurere supports the "struggles" of Australia's aborigines. In June this year Taurere, with Joe Carolan of Socialist Worker helped lead the New Zealand section of an international aboriginal rights Day of Action. 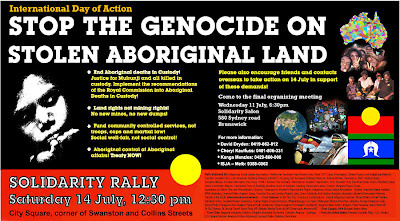 Black GST, Chilean Popular and Indigenous Network, Freedom Socialist Party, Indigenous Social Justice Association – Melbourne, Radical Women, Resistance, Socialist Alliance, Socialist Alternative,International Socialist Organisation, Socialist Party, Union Community Alliance, Communist Party of Australia, Australians for Native Title and Reconciliation (Victoria), Indigenous Social Justice Association — Sydney, Anarchist Media Institute and Anti Nuclear Australia. Te Ata Tino Toa, Conscious Collaborations - Global indigenous network, Solidarity Union, Socialist Worker (Aotearoa), Wellington Wildcat Anarchist Collective, Aocafe (Aotearoa Cafe, Green Party of Aotearoa New Zealand, Radical Youth (Auckland), Tariana Turia, Co-leader of the Maori Party and Member of Parliament for Te Tai Hauauru, Hone Harawira Maori Party MP Te Tai Tokerau, Te Ururoa Flavell Maori Party MP Waiariki, Dr Pita Sharples Co-leader Member for Tamaki Makaurau, Maori Party, Metiria Turei List MP Green Party Aotearoa/NZ, Aotearoa Educators. 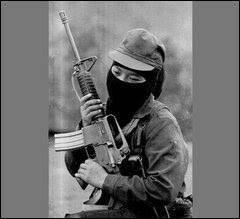 Members of both the Wildcat Anarchist Collective and Radical Youth were arrested on October 15th. The Aotearoa Cafe website is alleged by police to have been used as a networking by those attending the Urewera training camps. 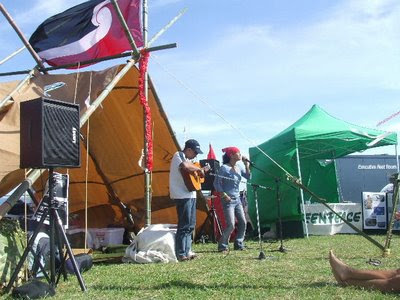 Socialist Worker and its front, the Solidarity Union,, Te Ata Tino Toa, Conscious collaborations, Wildcat, Radical Youth, the Green Party and the Maori Party have all played leading roles in the "Urewera 17" support campaign. Tia Taurere has also been active in supporting the "Urewera 17." Maori and environmental activists caught up in police anti-terrorism raids will be back in court in Auckland today. Meanwhile two lawyers working on the case, Annette Sykes and Moana Jackson, will be fronting a panel discussion at Auckland Central Library this evening. Hui organiser Tia Taurere from Conscious Collaboration says the aim is to tell people about the implications of the new anti terror laws, and to support the whanau of those arrested.